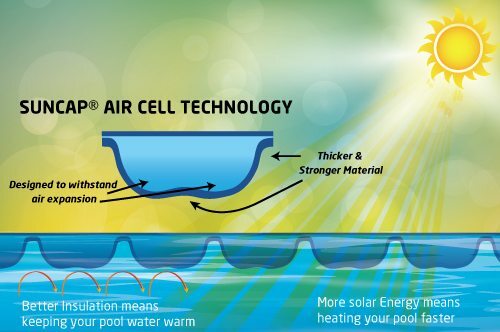 Our Suncap® Solar Pool Heating Material is one of the strongest and most durable available. We have combined our knowledge and experience to provide you with the best possible pool blankets . Each Cover uses the unique bubble technology which delivers the most efficient heating performance and thermal properties.Our pool material is available in a blue colour. Whilst the blankets have been coloured they are semi translucent which means that if you placed your hand on the underside of the material you can see the outline of your hand through the material. 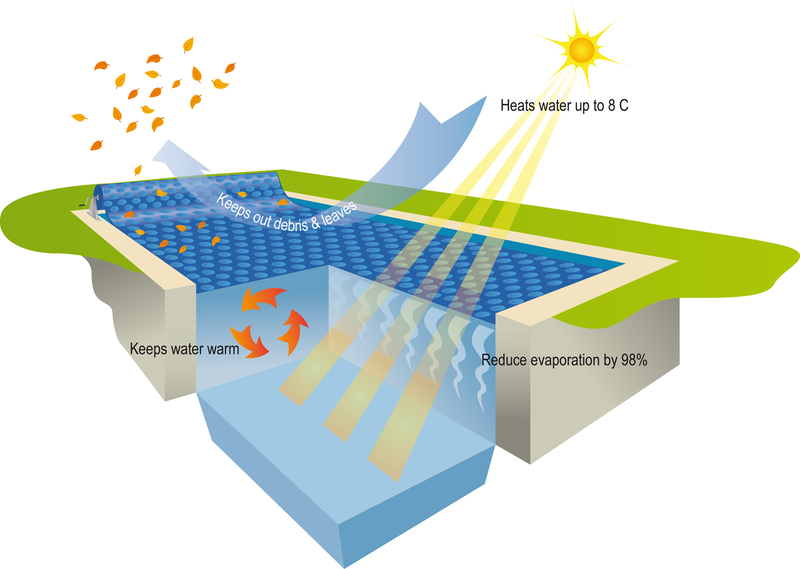 Solar radiation is the key to heating a pool naturally. When the sun beats down on the pool a semi translucent cover allows solar radiation to enter the water, thus heating the pool, as though the cover was absent. In other words, the less transparent the cover, the less radiation entering the water. Dark covers need to absorb the solar energy and then transmit it to the water, allowing a lot less direct penetration of solar energy. Developed to provide you and your family with a warmer pool that you can enjoy for longer periods throughout the year. Our Pool Covers have been designed so you can install it yourself for an affordable solution. Of course, if you do need help with installation, please contact us for assistance.